A Fee-Only Registered Investment Advisor with a Fiduciary Duty To Our Clients. What a mouthful! But stick with it - these words can mean quite a bit to you, your family, and your wealth. We are Registered Investment Advisors. Cogent Strategic Wealth is required by law to act with undivided loyalty to you, our client, in a fiduciary relationship. We are required to disclose how we are compensated, and are obligated to reveal any conflicts of interest. Not all financial planners are as forthcoming and often double dip with fees and recommendations that are self-serving. We are not agents for a large financial institution. We are not required to promote anyone’s financial products. Unlike advisors that are working for banks and companies that create their own products, we are free to recommend what works best for you. We do not accept commissions or any other incentives. We are dedicated to working for you and wouldn’t want to tarnish our dedicated advice to you. Our sole source of compensation is the single, fully transparent fee you pay us for the wealth management we provide. That’s it. No hidden agenda. We invest in the same way as our clients. We put our money where our mouth is. And you can rest easy to know that we stand behind our solutions because it isn’t just your future on the line, it’s ours too. Above all, in everything we do, we are dedicated to championing your highest interests. While there are many components that contribute to wealth management, the most obvious part is your investments. What's your investment strategy? (Have you got one?) Instead of following “hot tips” or flash trends, we focus on academia's evidence-based insights. 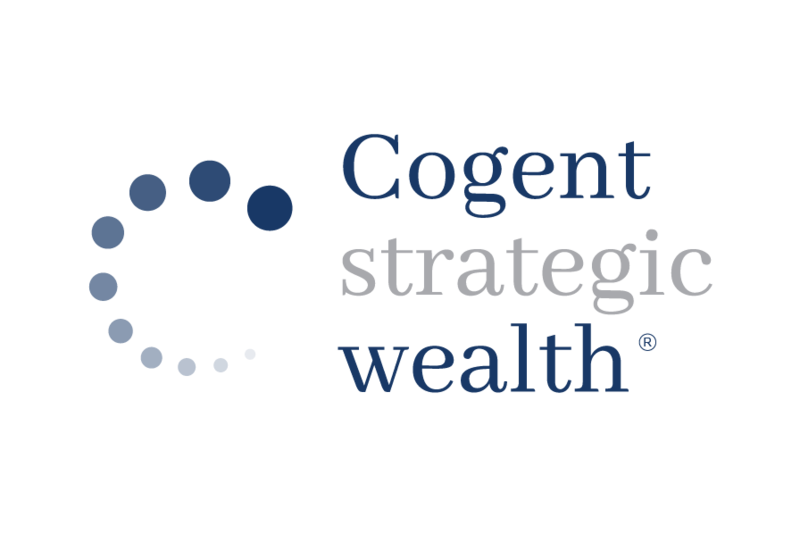 The Cogent Strategic Wealth team builds a strategy based on decades of solid, academic evidence. 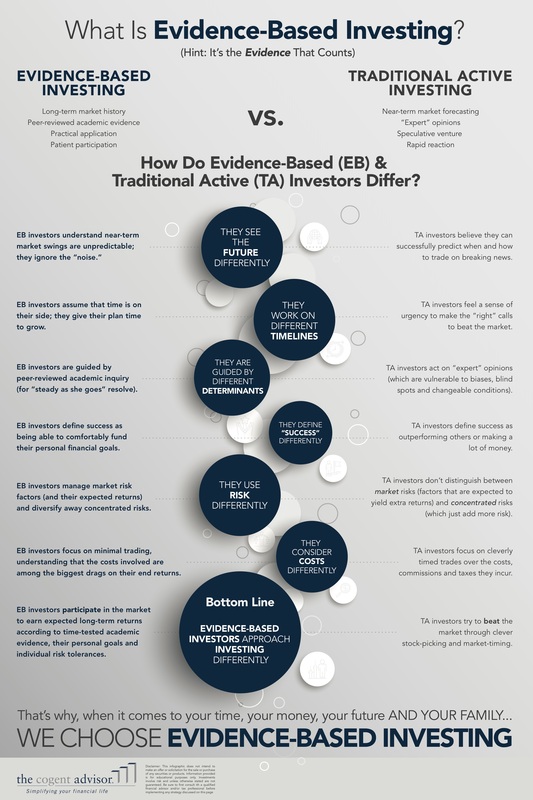 How does evidence-based investing and traditional active investing differ? Take a look at this Infographic to compare the two styles.